Narrow Barred Spanish Mackerel. Different names in different places. Here is a brief list of names for Spanish Mackerel. See one missing? Put it in the comments! Noob Spearo’s Month of Mackerel was inspired after an email exchange with one of our Noob Spearo Podcast listeners. He asked for more hunting tips and made a few cracker suggestions that we will be implementing in other upcoming posts and interviews. 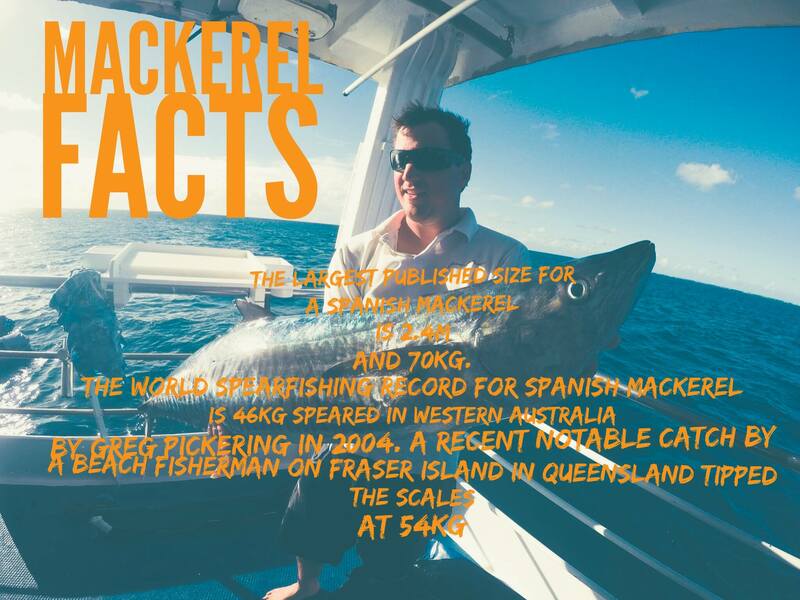 Here is a brief summary of our Month of Mackerel for people who want to know more about chasing these sleek speedsters. Spearfishing Spanish Mackerel – Turbos 2 Part series. Part 1 is all about putting yourself in the right place at the right time. 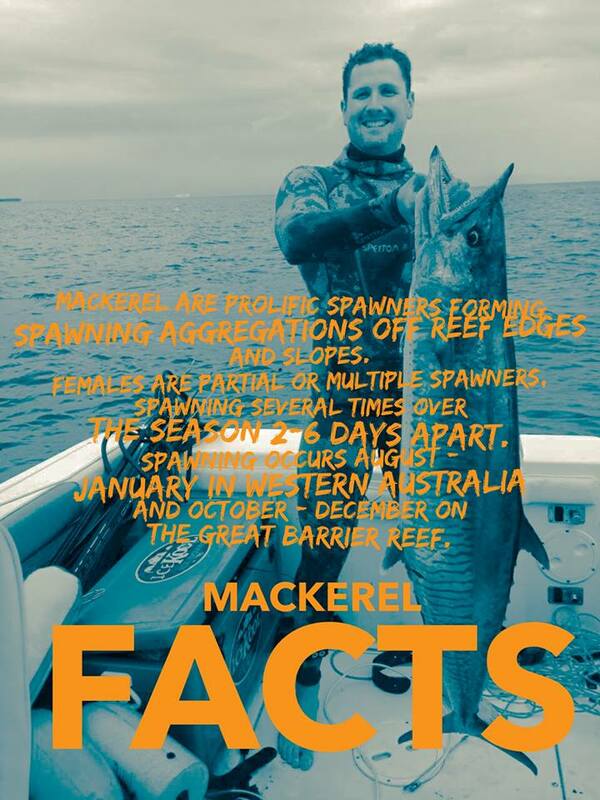 It has a good run-down on equipment and how to attract Mackerel once you are in the water. Part 2 follows up with advice on shot placement, what to do with that exciting running fish and how to get it back to the boat. 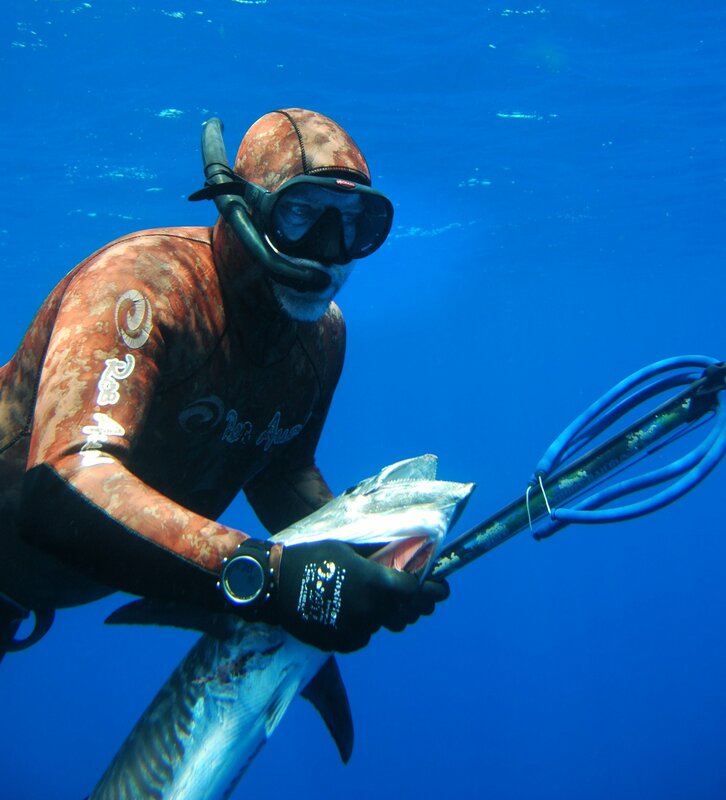 First out of the blocks was Rob Allen, a man famous for the manufacture of high quality spearfishing equipment. Taking down Spanish Mackerel, Wahoo and other Pelagics was the reason for designing the original Rob Allen Speargun and he shares that story + lots of tips, tricks and information about taking down these quality fish. Our second specialist guest for the Month of Mackerel was Richard Pillans an Australian based Marine Biologist who loves nothing more than putting a 7mm spring steel shaft through a frolicking Mackerel. 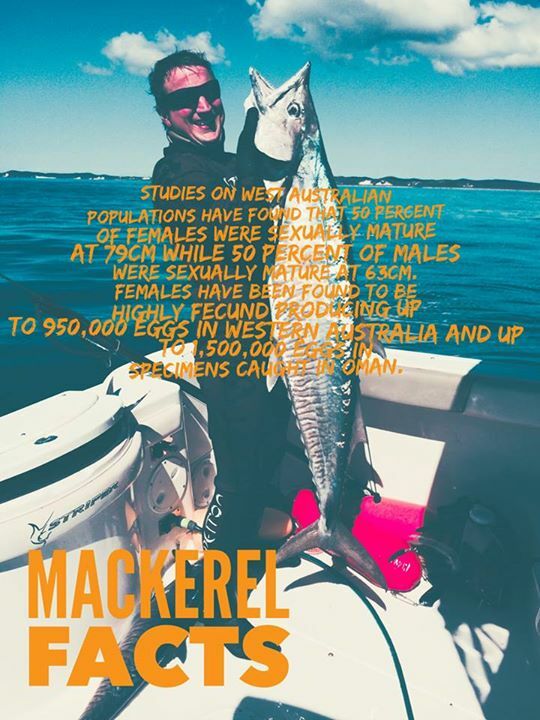 In a solid 60 minute interview Richard lays down some excellent info for the aspiring Mackerel Master. Turbo also pieced together the past 25 years of Narrow-Barred Spanish Mackerel Records. Check out the photos and stories behind some of the biggest Spanish Mackerel you’ve ever seen. 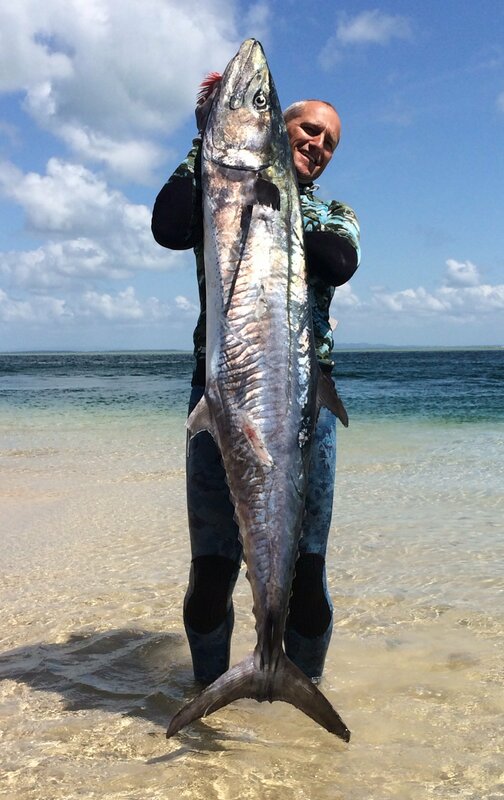 Peter Taing is a local Brisbane based Spearo who recently shot a 36.8 kg (80lb+) Spanish Mackerel. Read his account of a memorable capture. 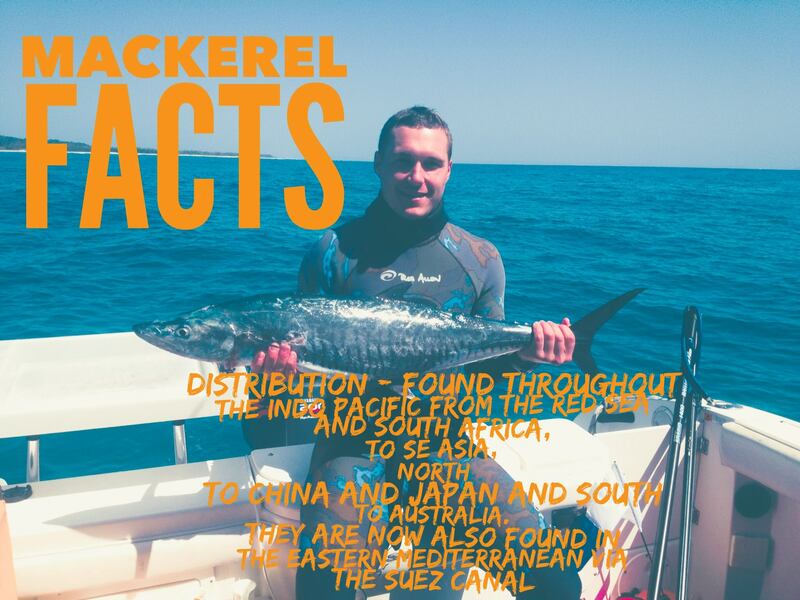 After reading through our month of mackerel you might have noticed we have missed something, please let us know in the comments below! 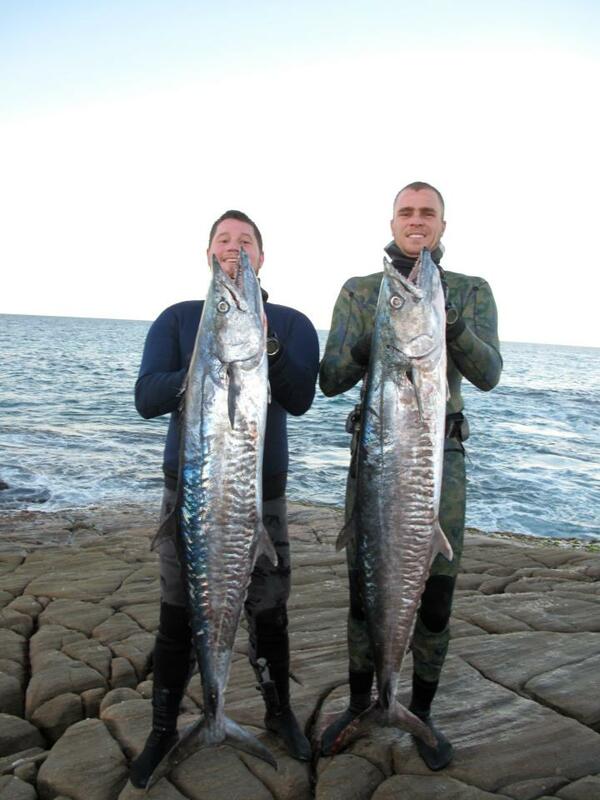 For more tips to improve your spearfishing check out 99 Tips To Get Better At Spearfishing – actionable information from more than 40 of the worlds best spearo’s!